The Users page allows you to see a list of all of the users currently registered on your website with details such as the registration date or the membership type. Profile privacy column informs you about your user's privacy settings. They can choose to set the profiles online (visible by everyone), friends (visible for friends only), or private. Here, you can also ban, unban or edit these respective user profiles if necessarily. Starting with Love Factory 4.4.5, you can now mark or unmark a profile as filled by pressing the Mark profile as filled or Clear filled profiles buttons. 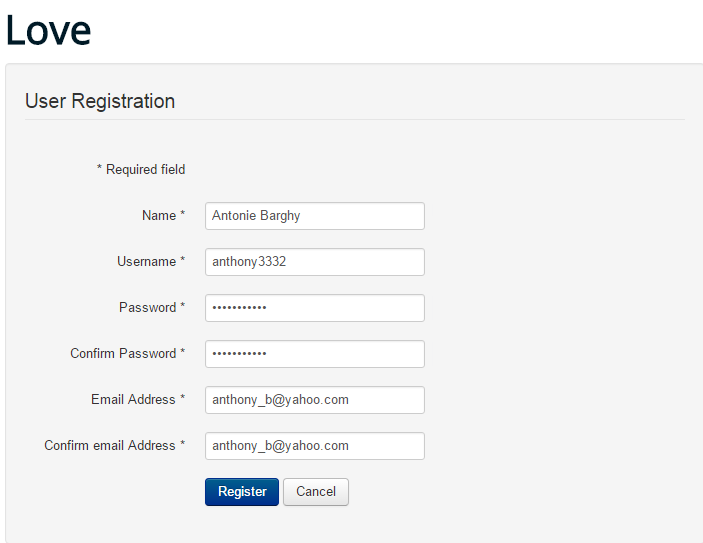 Also, profile fill-in can now be used with both registration types (Love and Joomla). To edit a user simply check the tick box and click on Edit. There, you can edit profile details, change the membership or even delete photos and videos in case you find them inappropriate. 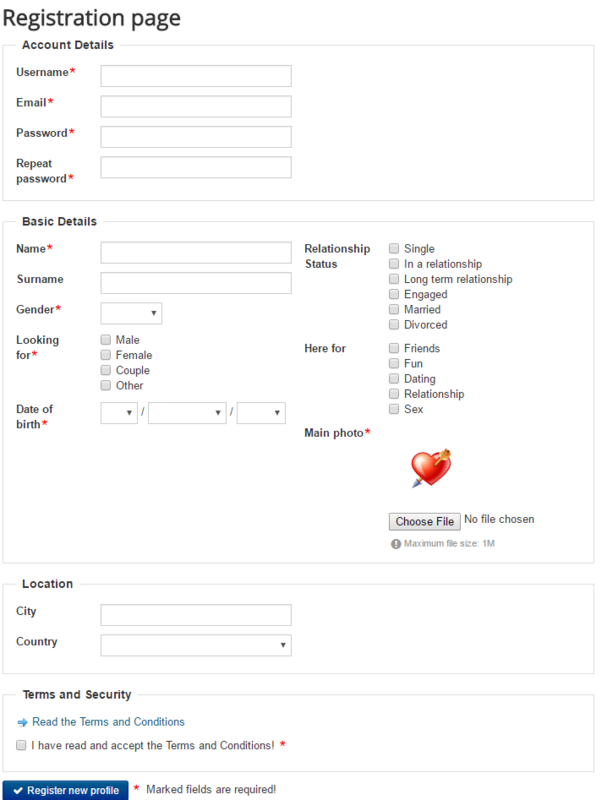 By clicking on the Edit profile you can modify every detail related to the user: his name, relationship status and more. Below the profile tab, you can change his membership. Choose the new membership and add an end date to it. Leave empty for unlimited. Afterward, you have the Photos and Videos tabs, where you can select the checkboxes for which photos or videos you want to delete. The procedure will happen when you save. 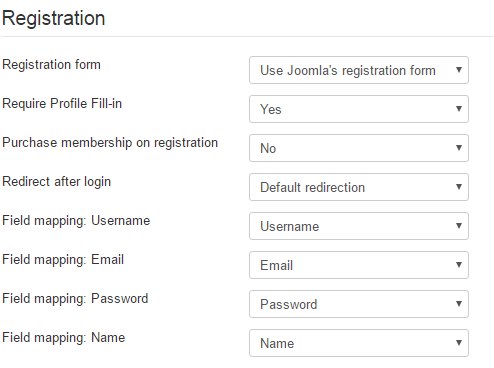 Users can register using Joomla's registration form or the component's form. To set this, go to Settings/ General Settings and scroll down to Registration settings. Click on Registration form and choose from the two mentioned options. If you choose this form, you will need to further complete your profile fill-in on the component's page. 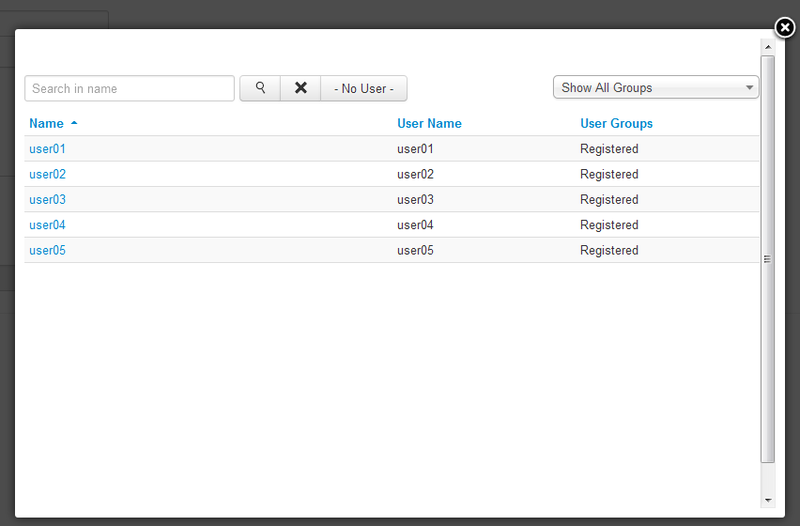 By going to the Groups tab will allow you to check every created group, edit or create new ones. 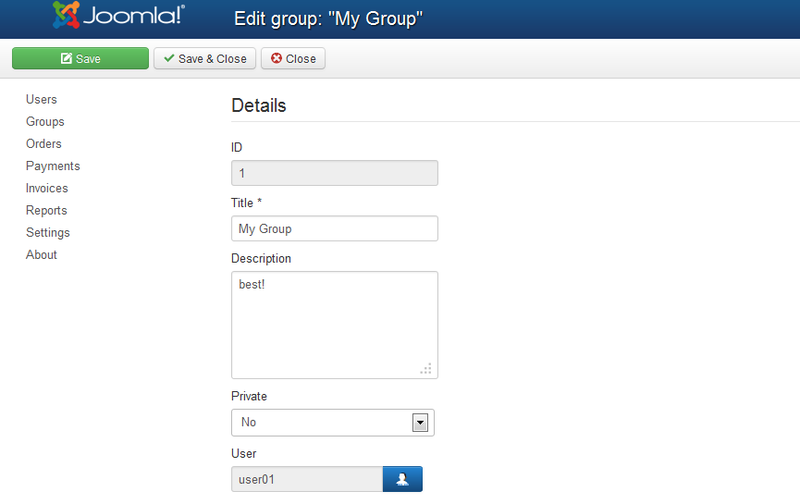 Clicking on Edit will let you modify the details of the selected group like title, description or to make it private. Below these fields, you can change the owner of the group, the user who can manage it. Clicking on the Select User blue button will popup a new window where you can select a member from the list of registered users. You can filter this list to display a specific group of users. On the Reports tab you can verify all the reports that have been made by the users and take the appropriate measures. Reports can be made on various things such as profiles, comments, group posts, photos or videos. By clicking on a report you can see its details. On the left side, you will find the user who made the report and his comment, while on the right side you will find the reported user along with the reported item. In this case, his rude group post. Below these, you can punish the user by banning him, removing the reported item and sending him a message. In case you took the appropriate measures you can change the status of the report from Pending to Resolved. Depending on what you have configured in the General Settings area, you will have to approve or reject different actions made by users. 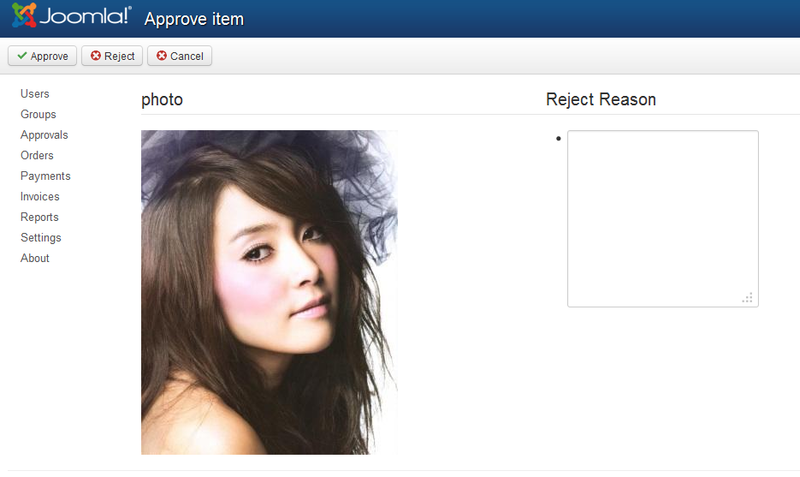 For example, if you set to approve photos, then any photo uploaded by the users will need your approval. To manage this go to the Approvals menu. To approve an item simply check the tickbox and click on Approve or Reject.